Morning. It’s what sets you up for the rest of the day, how you start with intention. While I’m on maternity leave, I thought I’d ask a few of my favorite mamas to share their mornings with you. 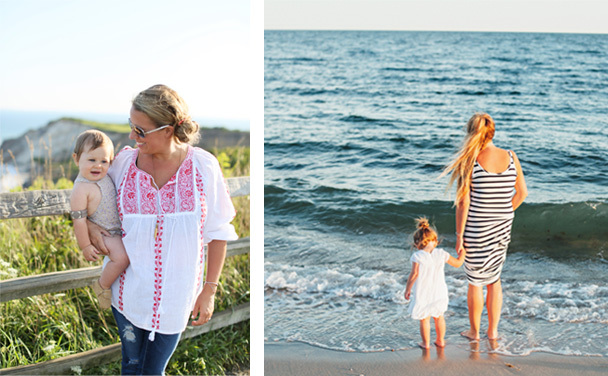 These handpicked moms inspire me every day, and I know you will love seeing what they do mornings. Below are some examples of questions that I asked them. Look out next week for the kick off to this guest post series with Tara Street and Kathleen Shannon of Braid Creative! About “Mindful Mornings” by La Petite Peach: Each Guest Blogger will be here on Monday morning, answering questions provided by your truly. They will also follow up with a Tuesday morning post about their most favorite things. I hope you enjoy this series. 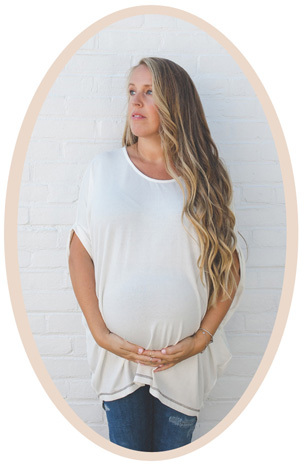 Make sure you check out the #mindfulmornings on Instagram to stay up to date with all our amazing mamas! I have learned to become a morning person! I have a nice little routine that helps me get going before the kids get up so I have an easier transition. Do you get up before your kids? If so, how do you spend that time? I get up 30–45 minutes before the kids so I can do a little work over coffee. It’s so relaxing when the house is quiet in the morning, and it’s one of my favorite times of the day because I can accomplish so much. When the kids get up, I don’t have anything like emails or chores hanging over my head. I can be fully focused and engaged with them. A typical weekday morning has a lot of hustle, but also a lot of love! My oldest, Luke, goes to school Monday through Friday and needs to be out the door by 7:35, so we spend time eating breakfast, packing lunches, and going over his day. After he leaves, I wake Wesleigh up around 9 (yes, wake her up, she’s an amazing sleeper) and we have breakfast together. Sometimes I even split up my breakfast and eat with both of them because sitting down for meals with my kids is important to me. Wesleigh and I usually go for a long walk after breakfast, but on Tuesdays and Thursdays she goes to the little nursery school down the street from us. On those mornings I try to do things for myself that feed my soul, like walk and do yoga. Then I get work done while Wesleigh naps, and I grocery shop on the weekends so I can use the time when the kids are at school to focus on my wellbeing. I love to eat breakfast and chat with the kids. It makes me feel like I really connected with them before they start their day. Of course, sometimes we are in a rush, but I always make them breakfast so I know they’ve started their hectic days with something delicious before I send them out the door. Oh, gosh! Before I was a mama, I was sleeping in for sure! That’s such a luxury now. Before I was a mom I was a college student, so sleeping in and grabbing breakfast on the way to class was definitely my thing. Sometimes I would get up early enough to sit in a café and write, but only on weekdays! I wouldn’t change a thing about my mornings, but I do wish I had a cute café nearby, one where other writers and creatives go to work and be social. I would definitely add that to my routine at least once a week. There is nothing more motivating to me than a buzzing room full of coffee and people working! CLEANING! I wish someone would come over every morning and clean up after us. What a treat to come home to. Is there anything dreamier than having a clean house all to yourself?! Both! I alternate every day! To me, being mindful means that I am connected and present with whatever I am doing. It means that even if I’m doing something mundane, like the dishes, I am thinking about the water, the suds, how they feel, and how I feel. Even if I start to get bored, I like to stay present in each moment, and when I do, I find that the things that have seemed “annoying” to me in my life are really not so bad at all. It helps to be unplugged in the morning (well, except for my watch!). I can look my babies in the eye while we eat breakfast together and listen to what they want to tell me. My pregnancy hormones have been making me feel sad when I have to send my kids to school each morning (I feel like they would rather be home with me), so when I know they’ve had a good breakfast, those worries are eliminated. I feel like they get the best of me and know they are loved every day. I should make lunches the night before, I really should. OK, I am going to start now! I am working on my personal portfolio site to launch in the New Year. I have wanted to do this for a while, and I’m so excited to finally be working on it!